US talented political scientist Samuel Huntington predicted the clash between Western and Islamic civilizations in his well-known writings on the clash of civilizations. In spite of Huntington’s renown, the US failed to take his prediction seriously. As a result, it failed to prevent the 911 Islamic attack at US homeland. In Huntington’s book The Clash of Civilizations and the Remaking of World Order, he predicted the clash of civilizations between the US and China that would lead to a war between the two countries. Will his prediction proves true again? It seems so. China claims most of the vast South China Sea within its nine-dash line as its territorial waters based on the Chinese civilization that allows regarding the sea as its own territory, but the US openly challenges China’s claim based on its civilization that stresses freedom of navigation and flyover. Now, according to Reuters’ report “U.S. warship sails near island claimed by China in South China Sea” yesterday, the US has sent its warship again to challenge China’s claim. Will that leads to a war? Not now as China has not been ready for the war. However, the US is giving China the excuse to militarize the artificial islands it has built in the South China Sea. When China has sufficiently militarized the islands to control the sea including the capabilities to deny entry of US submarines into the South China Sea and when it has developed J-20 powerful enough to dominate the sky there, there may be a war if the US concentrates as it plans its aircraft carriers in the area within the range of Chinese anti-ship ballistic and cruise missiles. What China fears most is the cutting of its trade lifelines in the oceans. If the US does not send most of its navy near China to be destroyed by China, the US can easily subdue China by destroying Chinese navy and merchant ships at high seas. However, as China has geographic advantage near its coast, China will be able to destroy most of US aircraft carriers near it so that its navy will be able to deal with what left of US navy at high seas. From that we can see how strategy illiterate US generals and politicians are. They do not know where they are strong, i.e. in the oceans that they dominate with their powerful navy, but plan to send most of its navy to the area near China to enable China to exploit in full its geographical advantage. Now, if both sides persist, China will make every effort to conduct a fierce arms race with the US including militarization of its artificial islands. Is the US prepared for the arms race and even a war with China? Comments by Chan Kai Yee on Reuters report. A U.S. Navy destroyer sailed within 12 nautical miles of an island claimed by China and two other states in the South China Sea on Saturday to counter efforts to limit freedom of navigation, the Pentagon said. China claims most of the South China Sea, through which more than $5 trillion of world trade is shipped every year. Vietnam, Malaysia, Brunei, the Philippines and Taiwan have rival claims. 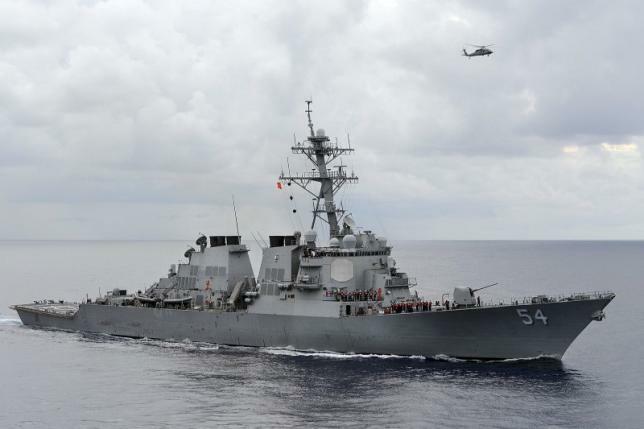 Pentagon spokesman Captain Jeff Davis said no ships from China’s military were in the vicinity of the guided-missile destroyer USS Curtis Wilbur when it passed near Triton Island in the Paracel Islands. “This operation challenged attempts by the three claimants – China, Taiwan and Vietnam – to restrict navigation rights and freedoms,” Davis said, reflecting the U.S. position that the crucial sea lane should be treated as international waters. The Navy conducted a similar exercise in October in which the guided-missile destroyer Lassen sailed close to one of China’s manmade islands, drawing a rebuke from Beijing. Davis said the latest operation sought to challenge policies that require prior permission or notification of transit within territorial seas. He said the United States took no position on competing sovereignty claims to naturally-formed land features in the South China Sea. “No claimants were notified prior to the transit, which is consistent with our normal process and international law,” Davis said. The Chinese foreign ministry responded Saturday evening with a statement on its website condemning the action. “The American warship has violated relevant Chinese laws by entering Chinese territorial waters without prior permission, and the Chinese side has taken relevant measures including monitoring and admonishments,” China’s foreign ministry said in a statement. 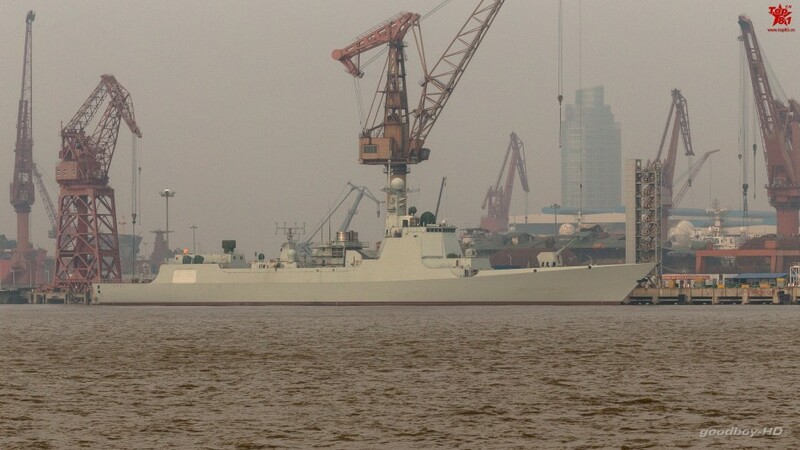 The ministry also said that Chinese navy vessels had immediately taken responsive action, conducted identification checks and promptly gave warnings for the ship to keep its distance. “Regardless of whatever provocative steps the American side takes, China’s military will take all necessary measures to firmly safeguard national sovereignty and security,” the ministry statement concluded. The operation followed calls in Congress for the Obama administration to follow up on the October operation. This month, the chairman of the U.S. Senate Armed Services Committee criticized Obama for delaying further freedom of navigation patrols. Senator John McCain said that allowed China to continue to pursue its territorial ambitions in the region, including by landing a plane on a manmade island in the Spratly Islands archipelago. In a statement on Saturday, McCain said he was “encouraged” by the news. “I continue to hope these operations will become so routine that China and other claimants will come to accept them as normal occurrences and releasing press statements to praise them will no longer be necessary,” he said. 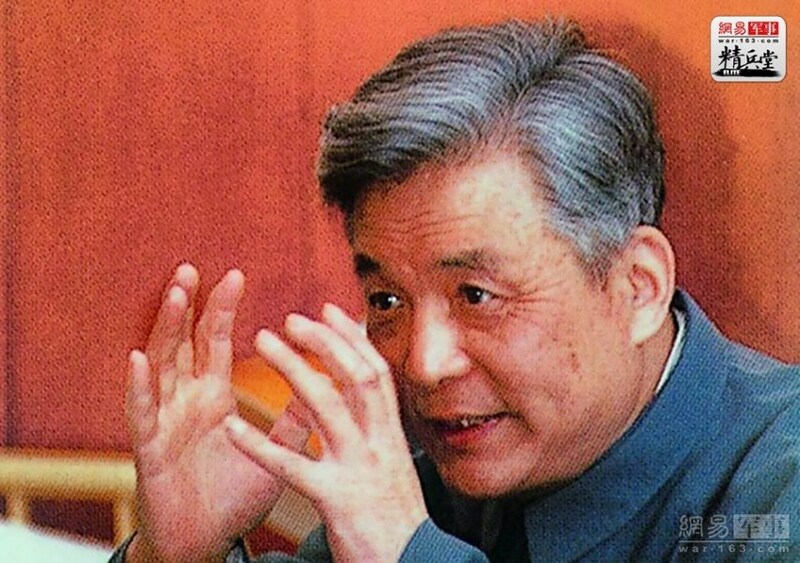 In his interview with Beijing TV, Chinese military expert Fang Bing says that China’s Type 052D destroyer is better than US Arleigh Burke class destroyer as it is equipped with better electronics for communications, especially an advanced phased array radar that can detect and track stealth warplanes including US F-35 stealth fighter jet. 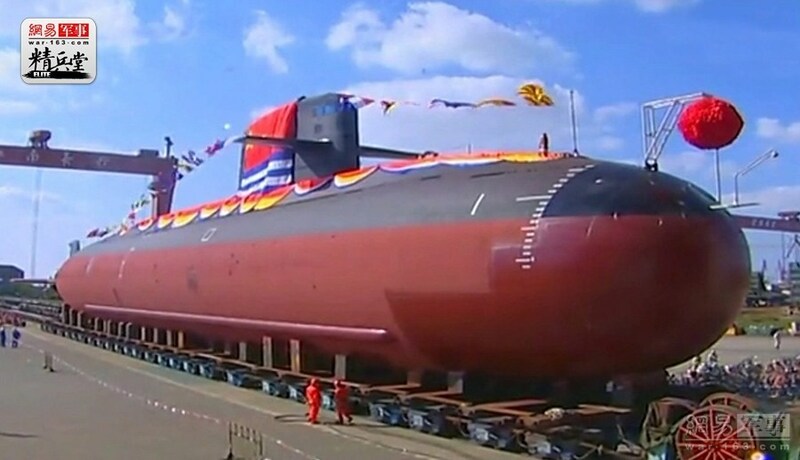 In addition, it is stealth and armed with better missiles fired from vertical launch tubes and has good anti-submarine and air defense capabilities. 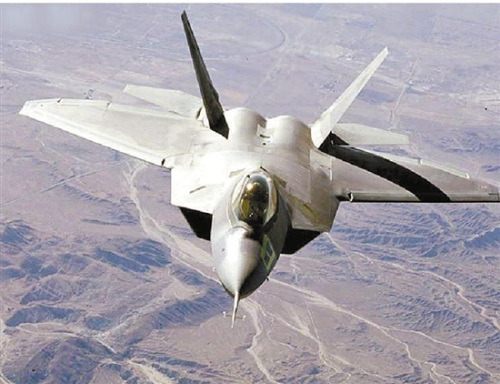 China’s Qianjiang Daily published an article by Chinese writer Tu Chenxin on January 27 that makes a comparison between China’s J-20 and US F-22 stealth fighter jets. Tu says that as J-20 emerges later than F-22, it has more advanced electronic equipment, especially the EOTS electro-optical system similar to F-35’s that may detect stealth aircrafts a longer distance away than radar. F-22 lacks space to install that system. F-22 is designed for maintaining air supremacy so that it lacks anti-ground and anti-ship capabilities in being able to carry only one 454kg guided bomb while J-20 is designed as a multifunctional one and can carry anti-ground and anti-ship missiles in its deeper and longer weapon bay. J-20 has a longer fuselage to carry more fuel so that its range is much longer than F-22. In case of a war with China, all the airfields within the range of Chinese intermediate-range ballistic missiles will be destroyed. An F-22 from the Guam has to undergo 6 refueling to operate near China. F-22 obviously lacks the geographic advantage in fighting J-20. However, J-20 lacks good engines. It has good potential in realizing the design for its better maneuverability but the Russian engines it uses now lack the power to achieve that. 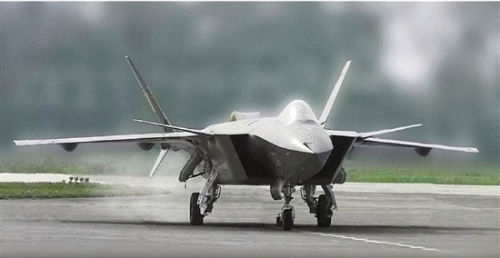 China is developing its WS-15 engine for J-20 that may enable J-20 to conduct supersonic cruise for a long duration and make it as stealthy as F-22 and better maneuverable than F-22, but it takes time make the engine reliable. 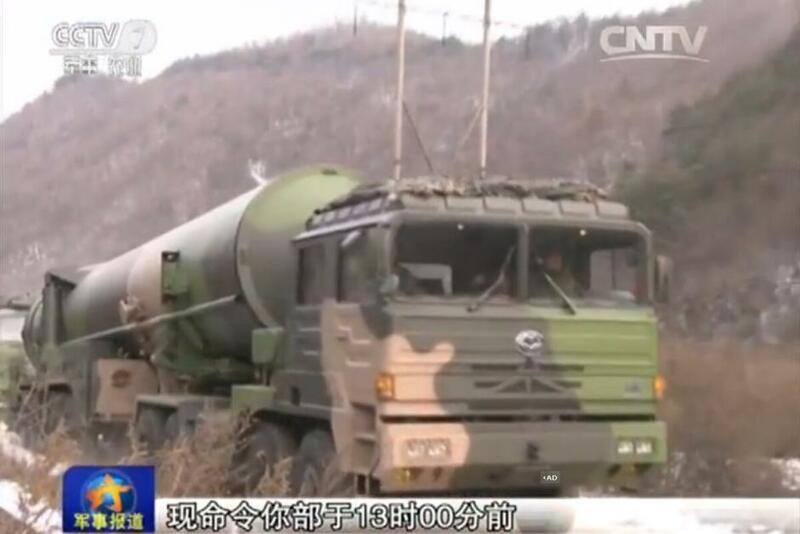 Mil.huanqiu.com says in its report today that in a drill in Gobi Desert, Inner Mogolia, a brigade of China’s Rocket Army launched a new version of China’s DF-15 bunker busting missile with thicker warhead than the DF-15s displayed in China’s September military parade. The brigade launched the missile during a drill in very cold weather at minus 30 degree Celsius. It was a surprise that no one got China’s top annual science and technology award according to official media. CCTV says in its report that no one has won the 2015 top award. It really puzzled me that even Pan Jianwei who was well-qualified to win the top award for his achievement in quantum communication, only won the first-class award. It has now turned out that the top award was won by Mr. Xiang Libin for his more than 20 achievements mainly in the area of satellite technology. Pan could not get the top award as Xiang’s achievements are much greater. A photo of Xiang winning the award in the awards granting ceremony is posted above. As Xiang and his achievements are China’s top secrets, CCTV did not mention him and maybe not even got the news from the Chinese authorities due to the secrecy. War.163.com got the news of Xiang winning the top award from the special reports by the observation website and the Initiative Foundation of the Science and Technology University of China. The website says that China’s science and technology awards are given to both common and special items of achievements, in which most of the special items are military ones that have to be kept confidential. Only a few of them have been made public for propaganda such as 921 manned space flight, quantum communication, HY2000 AEW&C aircraft, J-10 and J-11 fighter jets, J-20 stealth fighter jet, Y-20 large transport aircraft, etc. 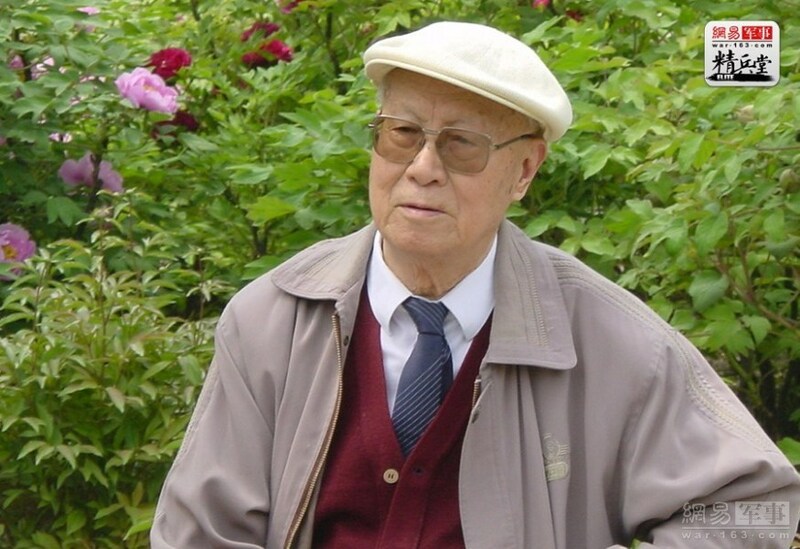 According to military expert Mr. Lei Ze, due to the secrecy, the names and achievements of quite a few top Chinese scientists have to be remained unknown for decades, including Deng Jiaxian, major organizer of the development of China’s nuclear weapons and Yu Min who has developed China’s H bombs. Another top scientist Research Fellow Ma Weimin has also been kept secret. 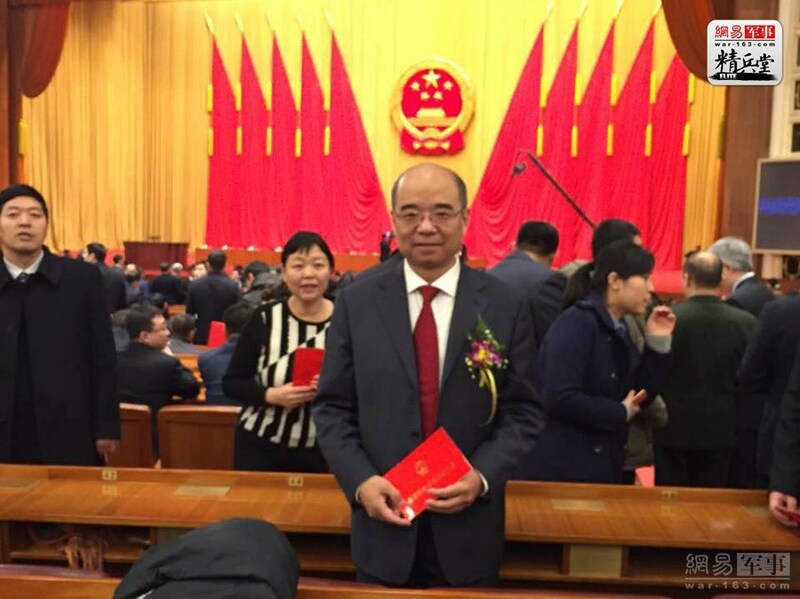 Ma has won the year’s top national award for Science and Technology Team for his development of China’s electromagnetic catapult and the integrated power system for propulsion in China’s large warships and submarines including that in China’s newest Type 039 conventional submarine. 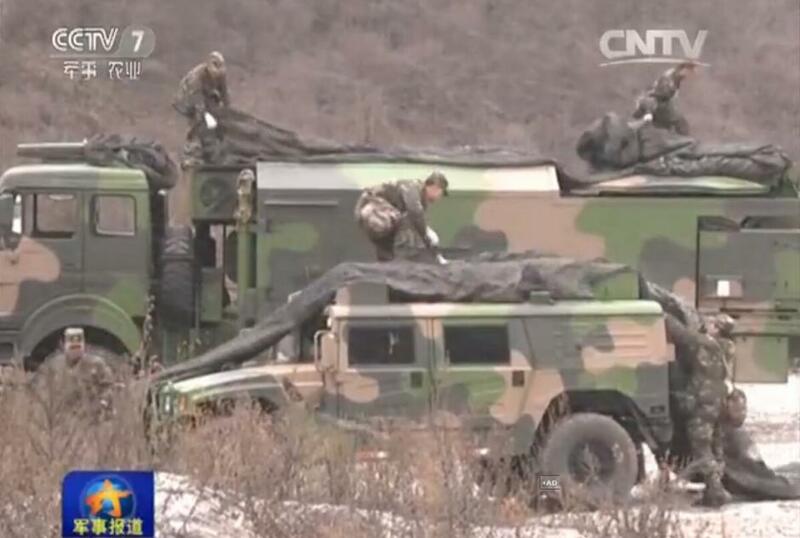 News.xinhuanet.com says that according to CCTV’s report a certain missile brigade of China’s Rocket Army recently conducted a drill in the field in extremely cold weather. Its motorcade drove slowly and it had to check the functions of the equipment constantly. The oil pressure sensor failed due to excessively low temperature. The commander had to give order to use the auxiliary preheating system. 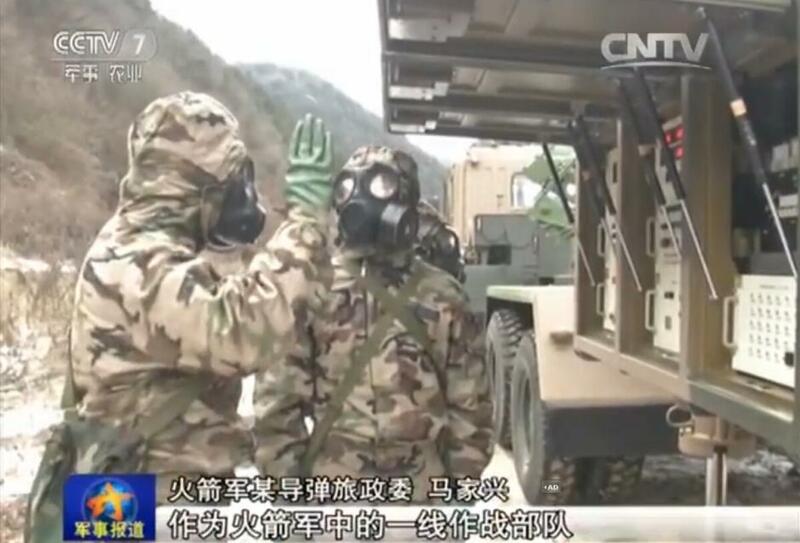 According to Li Xue, chief of staff of the brigade, in the past they conducted indoor simulated training, but now they have to conduct training in the field on frozen road in extremely cold weather with full precaution. When they had arrived at the site as ordered, they received an order to rapidly move to another site before 13:00 hours and had to be quickly on the road again. Then they were ordered to stop on the road and cover their vehicles for camouflage so that they would not be discovered by enemy’s reconnaissance high up in the sky. They had reached the designated site, connected their equipment with the power plant with cables and got ready for launch. The brigade’s political commissar Ma Jiaxing said: As the first-line combat force of the Rocket Army, we find that the burden on our shoulders and our responsibilities have grown heavier. Only when we have been prepared to fight under the most complicated, difficult and hard conditions will we be able to fight and win. 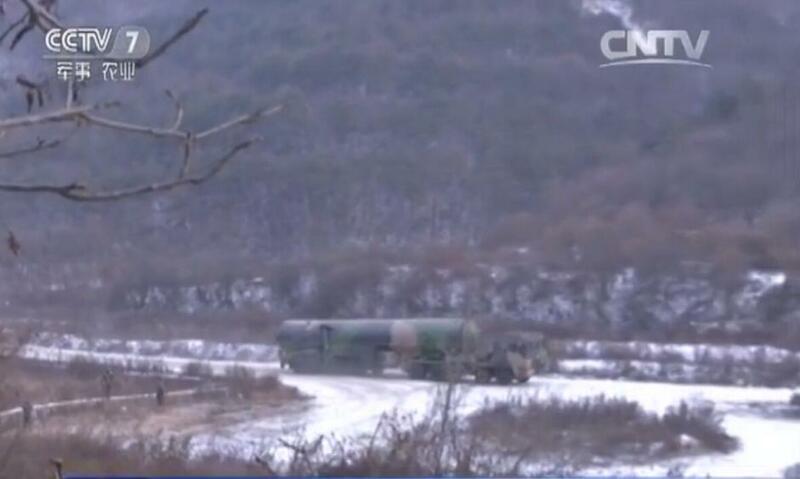 Note: The missile on the truck in the photos looks like the lower part of DF-5B. It seems toxic liquid fuel is used so that operators are in protective clothing in the last photo. China conducted six successful tests of a new high-speed hypersonic glide vehicle, the most recent in November, and also recently tested an anti-satellite missile, the commander of the U.S. Strategic Command said Friday. Adm. Cecil D. Haney, the commander in charge of nuclear forces, said the tests are part of a worrying military buildup by China, which also includes China’s aggressive activities in the South China Sea. “China continues to make significant military investments in their nuclear and conventional capabilities, with their stated goal being that of defending Chinese sovereignty,” Haney said during a speech to the Center for Strategic and International Studies. “It recently conducted its sixth successful test of a hypersonic glide vehicle, and as we saw in September last year, is parading missiles clearly displaying their modernization and capability advancements,” he added. The six tests of the hypersonic glide vehicle, regarded by U.S. intelligence agencies as a nuclear delivery system designed to defeat missile defenses, were first reported by the Washington Free Beacon. 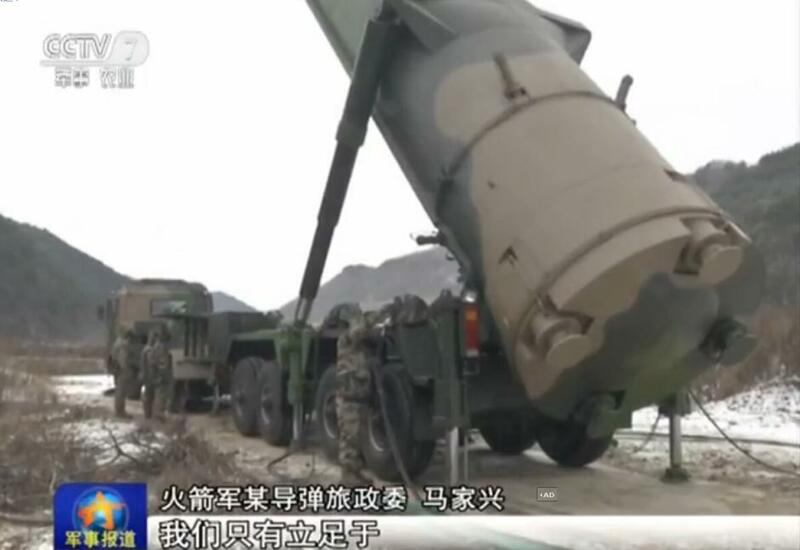 Defense officials said the hypersonic glide vehicle tested on Nov. 23, known as DF-ZF, was launched atop a ballistic missile fired from China’s Wuzhai missile test center in central China. The glider separated from the booster and flew at extremely high speed—between Mach 5 and Mach 10—along the edge of space. Haney confirmed all six tests were successful, indicating the weapon program is proceeding. Prior to the November test, the DF-ZF was flight tested Aug. 19. The earlier tests were carried out on June 7, and on Jan. 9, 2014; Aug. 7, 2014; and Dec. 2, 2014. 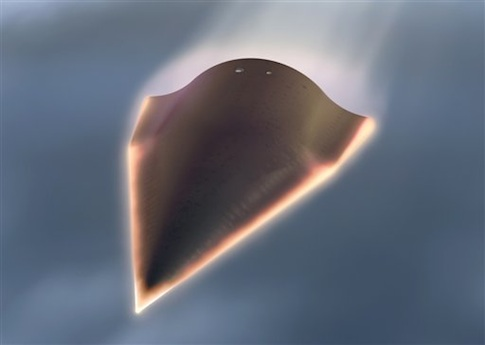 Haney described the hypersonic threat as a challenge to U.S. strategic deterrence. The congressional U.S.-China Economic and Security Review Commission stated in its latest annual report that the hypersonic glide vehicle program is “progressing rapidly” and the weapon could be deployed by 2020. China also is building a powered version of the high-speed vehicle that could be fielded by 2025. “The very high speeds of these weapons, combined with their maneuverability and ability to travel at lower, radar-evading altitudes, would make them far less vulnerable than existing missiles to current missile defenses,” the commission stated. In a second speech to another think tank on Friday, Haney also confirmed that China recently conducted a test of an anti-satellite missile. 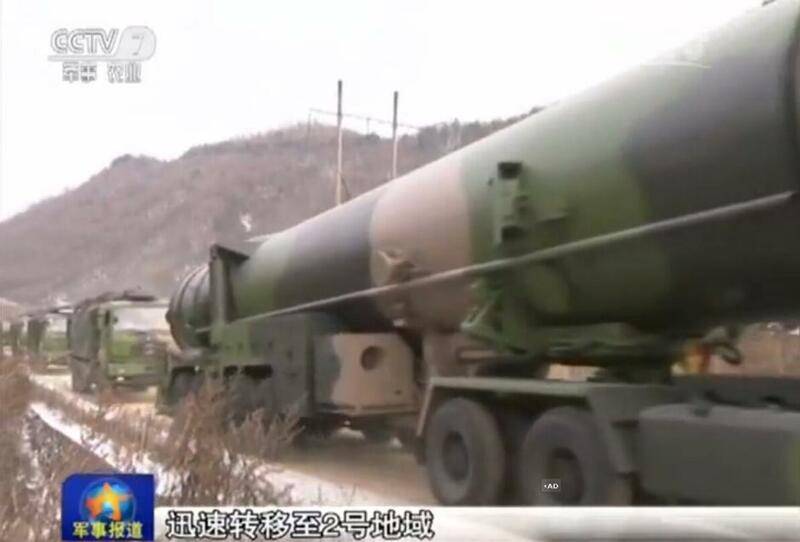 Defense officials said the Dong Neng-3 exoatmospheric strike vehicle was flight-tested Oct. 30 from China’s Korla Missile Test Complex in western China. The test was also first reported by the Free Beacon, and officials said the missile threatens U.S. satellites. Chinese Internet posts of pictures from the area showed what appeared to be contrails from the missile test. A Chinese military official later confirmed the anti-satellite test in a state-run press report. 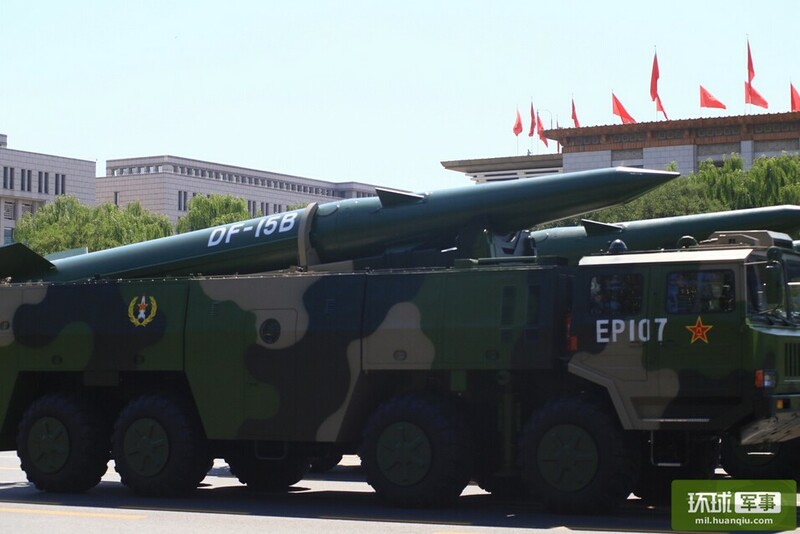 Zhou Derong, a professor at the People’s Liberation Army Logistics Academy, described the development of anti-satellite weapons as part of China’s national defense. The official criticized the United States for what he said were efforts to oppose and exaggerate anti-satellite tests. 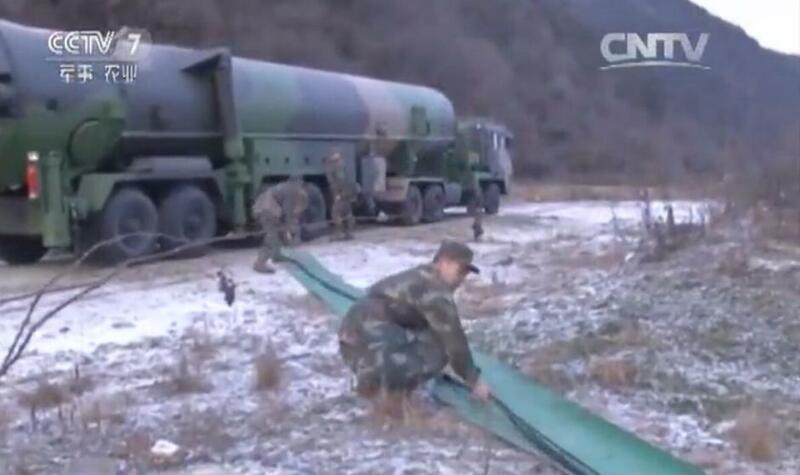 The DN-3 is the third known anti-satellite missile operational or under development by China. Earlier tests involved anti-satellite missiles known as the DN-1 and DN-2. The DN-1 has also been labeled the SC-19. Rick Fisher, a China military analyst at the International Assessment and Strategy Center, said Adm. Haney has advanced details of China’s nuclear and strategic developments. Also, China’s lack of transparency on nuclear forces is undermining Beijing’s often-stated policy of not being the first to use nuclear arms in a conflict. 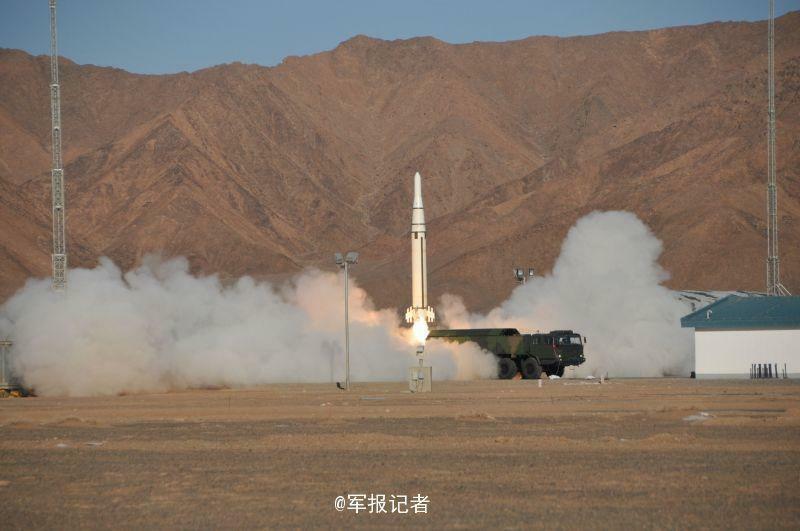 “China’s development of two and possibly up to two more MIRV-equipped intercontinental missiles could indicate China seeks a nuclear first strike capability,” he said. China also appears to be seeking to “sprint to parity” with the United States in warhead numbers along with growing space warfare capabilities poses “a much greater danger to U.S. strategic forces,” Fisher said, and should prompt a build up of U.S. nuclear forces. Haney said another concern of Strategic Command is China’s re-engineering of its long-range missile to carry multiple nuclear warheads. U.S. intelligence agencies detected the test of a new DF-41 intercontinental ballistic missile on Dec. 4 with two independently targetable reentry vehicles, or MIRVs. “The dangers posed by this unpredictable security environment are compounded by the continuing propagation of asymmetric capabilities and methods, the unprecedented proliferation of advanced capacities and technologies, and the increasingly provocative and destabilizing behavior on the part of both current and potential adversaries,” he said. The threats include terrorists in the Middle East, and activities by nation states including Russia, China, and North Korea. Russia is continuing to modernize both its conventional and strategic forces and is stressing new strategic approaches and destabilizing activities in Syria and Ukraine, while developing space weapons and conducting cyber attacks, Haney said. North Korea continues to threaten the Korean Peninsula and the Northeast Asia region with strategic advancements, including claims of “miniaturized” nuclear warheads and recent claims of a successful hydrogen bomb test, the four-star admiral said. Pyongyang also is developing road-mobile and submarine-launched ballistic missile technologies, he added. To meet the challenges, Haney said U.S. nuclear forces need to be modernized with new missiles, submarines, and bombers. “Without timely investment, we risk degrading the deterring and the stabilizing effect of a strong and credible nuclear deterrent force,” he said. Haney also warned about the growing threat of space warfare capabilities. “We need to get our heads around the fact that a future conflict may bleed into space,” Haney said. Space attacks pose “a multifaceted space challenge, and potentially threatens national sovereignty and survival,” Haney said. To counter space threats, the Pentagon is working to counter space attacks on satellites with new capabilities, more secure satellites, and smaller, more easily replaceable satellites. Both Russia and China are working on space weapons, including lasers and other directed energy weapons that can blind satellites. The debris resulting from China’s destruction of a weather satellite with a missile in 2007 is still posing problems for satellites and manned spacecraft. North Korea also appears to be building satellites for space weapons. “We must be able to maintain situational awareness of it all, act where necessary, and as stated in the 2010 Space Policy, preserve the space environment,” Haney said. The Pentagon is spending more than $5.5 billion to prepare space systems for a future conflict, Haney said. “We must have assured access to space such that we can function through a multi-layered approach, through all phases of conflict,” he said.